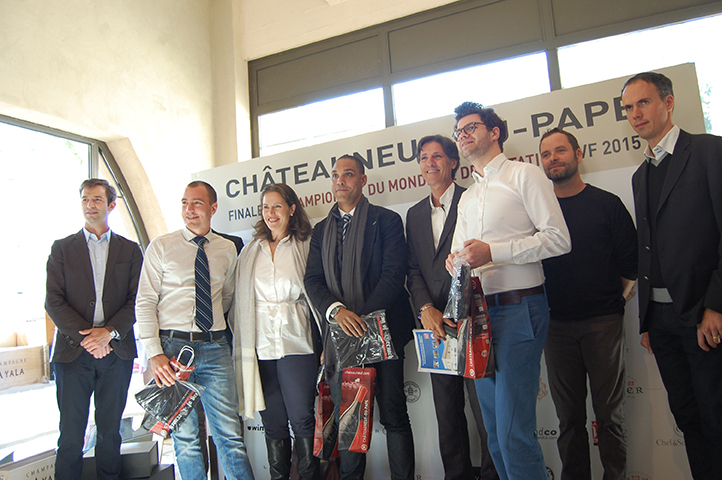 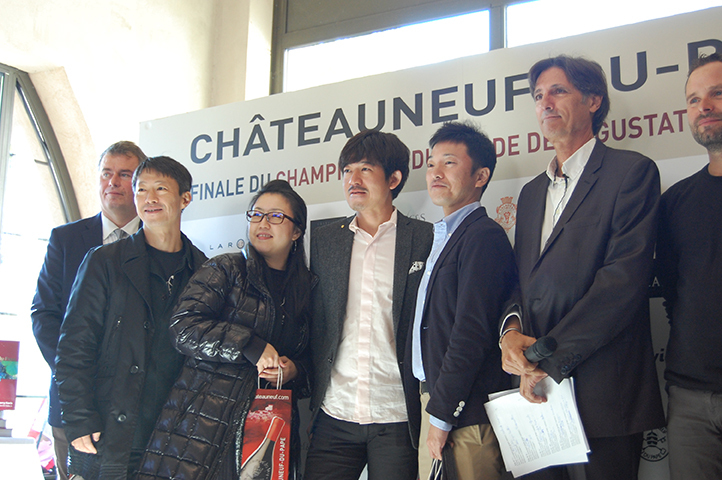 Saturday 17th October, 20 teams, from 4 continents, competed in Châteauneuf-du-Pape during the 3rd Wine-Tasting World Championship organised by the Revue des Vins de France magazine. 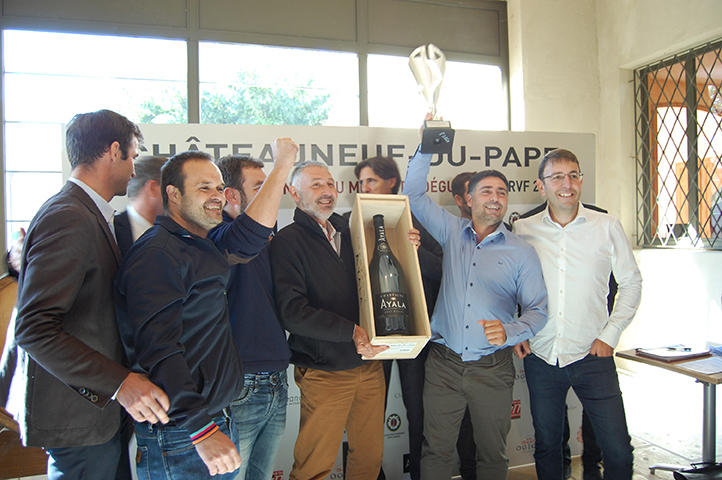 The final took place in the ageing cellar of the Ogier winery in Châteauneuf-du-Pape. 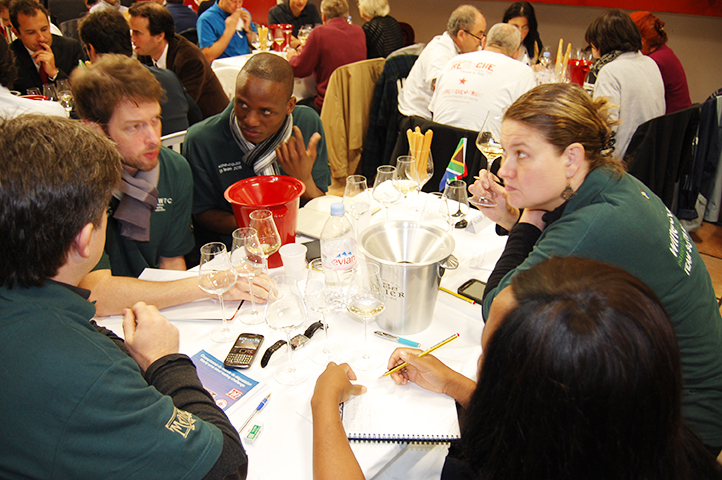 The various teams, selected to represent their nation at the event, were composed of 4 amateur and/or professional wine-tasters and one coach. 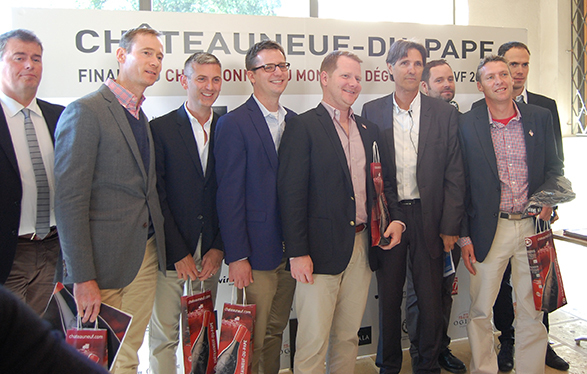 Their challenge was to blind-taste 12 wines from all over the world (6 whites, 6 reds) and find out, for each wine: the grape variety(ies), the country of origin, the appellation, the vintage and the producer. 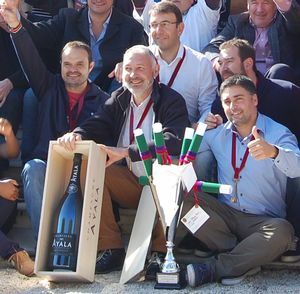 The Spanish team won the competition, closely followed by Belgium (winner in 2013), Sweden, Andorra and France (winner in 2014). 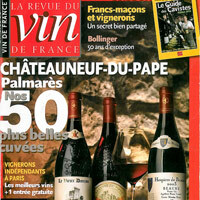 Later on in the day, the Echansonnerie des Papes –the wine Guild, or brotherhood of Châteauneuf-du-Pape - inducted the members of the Spanish team, French journalist and organiser of the event Philippe de Cantenac, from the Revue des Vins de France magazine, as well as its Director Denis Saverot. 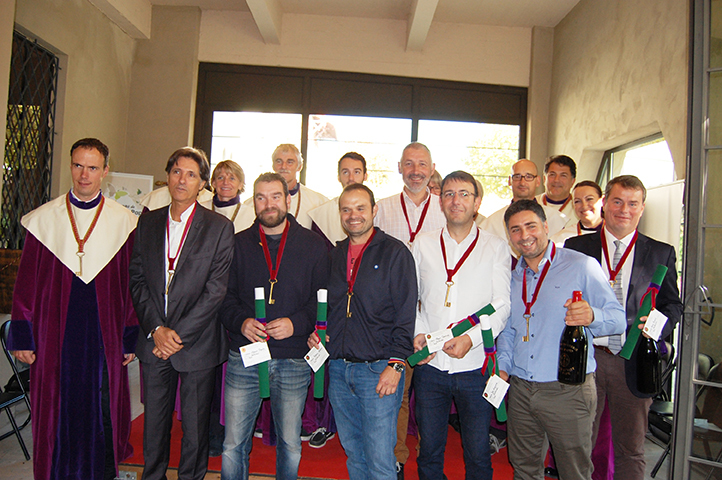 This friendly competition was also an opportunity for these wine-lovers from all over the world to meet up and exchange for 2 days. 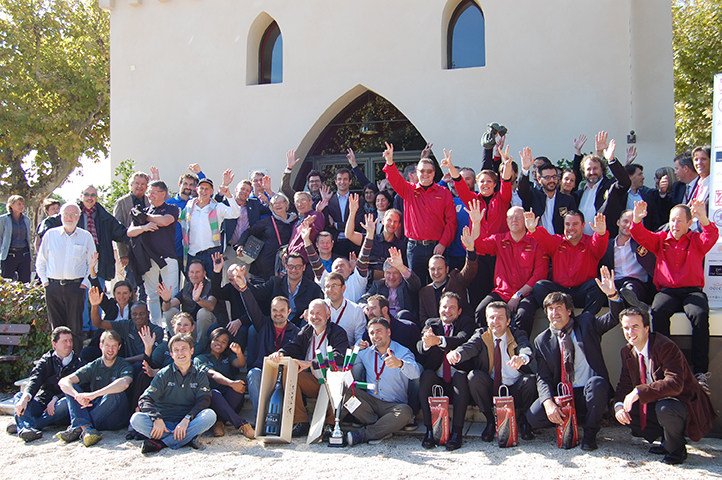 The Spanish team, world champion for the first time. 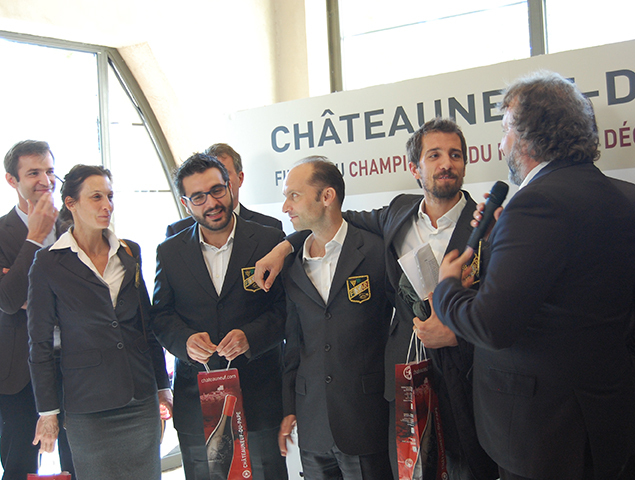 Induction of the winning team, Philippe de Cantenac and Denis Saverot.